Islamic Environmentalism examines Muslim involvement in environmentalism in the United States and Great Britain. The book focuses upon Muslim activists and Islamic organizations that approach environmentalism as a religious duty: offering environmental readings of Islamic scriptures, and integrating religious ritual and practice with environmental action. 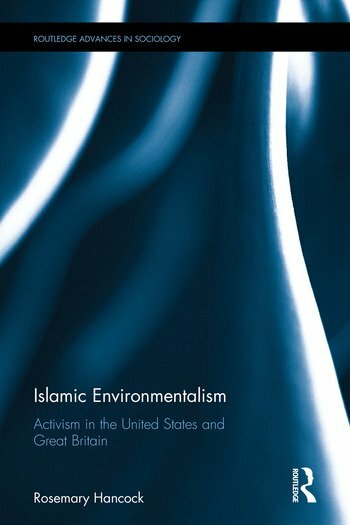 Honing in on the insights of social movement theory, Hancock predominantly examines the activism and experience of Muslims involved in environmentalism and bases her research on interviews with activists in the United States and Great Britain. Indeed, the reader is first provided with an insightful analysis of the ways in which Muslim activists interpret and present environmentalism—diagnosing causes of environmental crises, proposing solutions, and motivating other Muslims into activism. This is followed by a discussion of the importance of affective ties, emotion and group culture in motivating and sustaining Muslim involvement in environmental activism. A timely volume which draws attention to the synthesis of political activism and religious practice amongst Muslim environmentalists, this book will be of interest to undergraduates, postgraduates and postdoctoral researchers interested in fields such as Islamic Studies, Sociology of Religion, Social Movement Theory and Environmental Studies.